Welcome to the project page for the ME 218a Chunky Monkeys team. Click around to find out more about our project including the motivation, criteria, and the mechanical, electronic, and software solutions we produced. Here's a video recorded of a game being won. 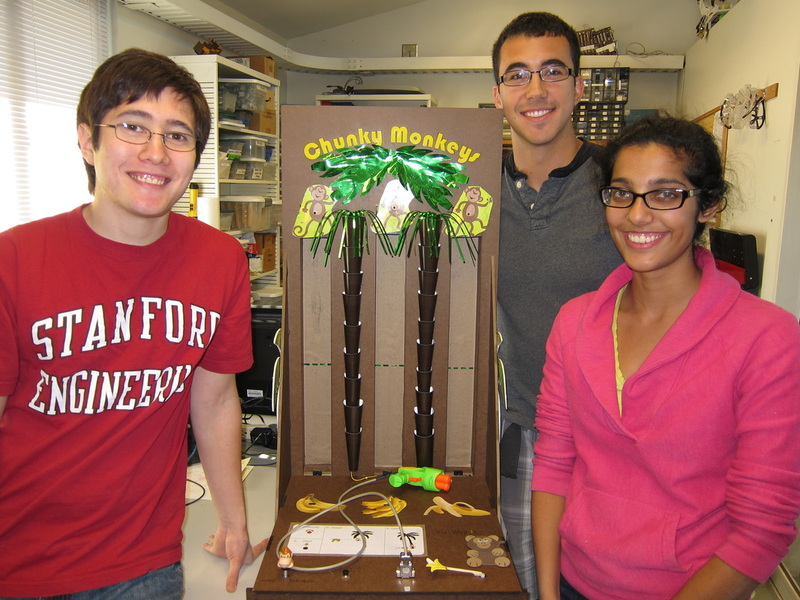 Note the two key interactions that enable a user to win: shooting the monkeys to pause them and covering the bananas to make them retreat up the tree. A user can achieve a win by using either of the interactions exclusively, but, as this video shows, the most effective technique is using both.